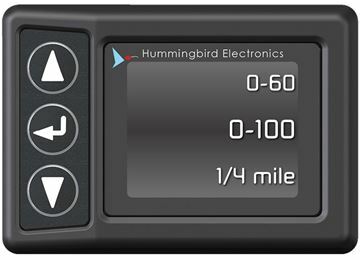 Hummingbird Electronics are market leaders in GPS Speedometer technology, offering off the shelf and bespoke solutions that utilise the latest GPS tracking, customisable dash mounts and GPS speed alert capabilities to suit any vehicle type or industry application. 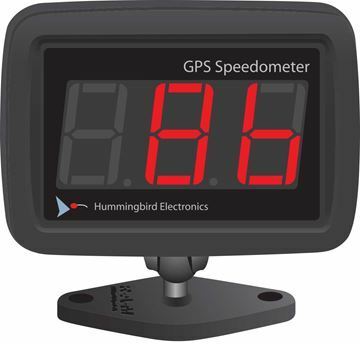 The Hummingbird GPS Speedometer is an easy to install digital speedometer including an internal antenna. 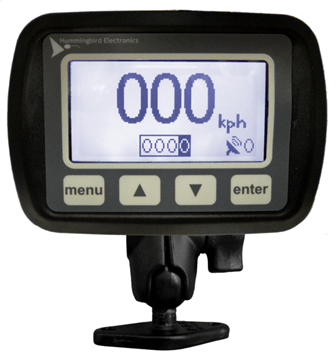 It is ideal for vehicles not fitted with conventional speedometers such as tractors, rollers and graders. The Hummingbird GPS Speed Alert (bracket dash mount) is an accurate and receptive digital speedometer with over-speed alert. It is compact and connects to your vehicle via the cigarette lighter power plug meaning no install or calibration is required. 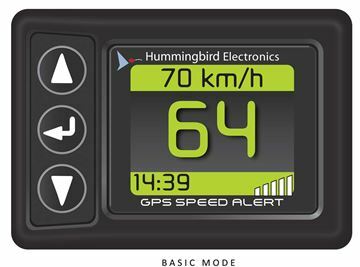 Hummingbird's fully featured GPS Speedometer provides a highly visible and configurable speed and distance readout, independent of the vehicle. No installation other than power provision is required.